This covers how to create a virtual linux server running Microsoft SQL Server. First, create a virtual server with the following requirements in mind. When you install Ubuntu, make sure to enable updates and third-party software, unless you’re the real DIY-type. You will be prompted to create an SA or Server Administrator password. Use something with high entropy! I have not gotten the cli tools to work for importing the backups. They seem to look for Windows paths. You will need to use MS SQL Studio to import the backup. I was working with a XenServer in a complex corporate network environment, and it was not possible for this server to access any samba shares, such as my laptop. I needed to put some ISOs on it, so I decided to create a local storage repository. This way, I would be able to simply -wget an ISO from the web, and then use it locally. PS. Make sure to check your free space and make sure your ISOs will fit. This partition is not very big by default. Migrating database servers in production, whether they are large or small, is a surprisingly simple process but a delicate one. There are fewer methods available as the size goes up. This is something I have been asked about by several colleagues so I decided to document my processes and best practices. This assumes you can afford a few minutes of downtime, and that you are using Debian/Ubuntu or something like it, and MySQL on both servers. This will take a while and give you the sql file you need. I just moved the file to a directory on the origin server where I could wget it from the destination server. But you could also email it to yourself or use a flash drive or network share. You will be prompted for the new server’s password and then it will put all the content into the new database. This is not a complex process, but it is a powerful one because it works no matter how large and complex the database is. I recently used this for a database containing millions of rows in dozens of tables. If your database is just a few megabytes or less, you can use PHPMyAdmin to transfer everything to a new server. On the origin server, navigate to the database you want to migrate, and click the “Export” tab at the top. Select “Custom” for the export option, and then “View Output as Text” and submit. This will take a while and give you a text box full of SQL code. This is the same code that would be in the file we generate in the “File Method” mentioned above. If the database is too large, this step could freeze or crash the browser, but for smaller databases, this should work fine. You have successfully migrated your database! If 100% uptime is critical, use this tutorial to set up slave replication to the new server, then switch the application load over to that server, and disable slave replication. Change “inet_interfaces = all” to “inet_interfaces = 127.0.0.1” allowing only loopback requests. This is in addition to the firewall which prevents outside access. PHPMyAdmin can also be installed via aptitude, but that exposes it publically and there is some potential for exploits down the road. This way you can;t access it until you get past the virtualhost password we set up earlier. I wrote a tool which comes up with a perfectly sized high-entropy string to put here. Check it out. VPS-Home is a simple tool I made some time ago which shows a few important things. It shows the free space on the disk, the disk utilization for each directory within /var/www and the top running processes at the moment, along with the runtime and motd. We installed FreeTDS which allows for tabular data-stream connections to Microsoft SQL Server from PHP5. Your version may vary. For MS SQL Server 2008, this was the version I used. to build server applications with Microsoft SQL Server! 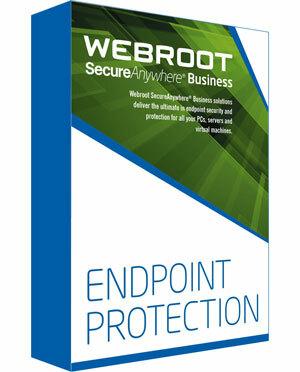 At Tech 2U, we sell Webroot SecureAnywhere Business Endpoint Protection as our antivirus product. This is typically used for managed enterprise endpoints. Webroot SecureAnywhere Business Endpoint Protection is managed through a web console which must be accessed each time a new endpoint is created; dozens of times every day for us. This web console is intended to be used for companies managing dozens or maybe a hundred endpoints. We use it to manage many thousands of endpoints. This quickly led to the web console being so slow and unresponsive that it became unusable, taking minutes to load each page. I decided to implement their API in order to avoid using the web console and automate the process of creating keys. I had already built a comprehensive custom PHP/MySQL CRM to manage all operations at Tech 2U, so this new API integration would need to simply create keys whenever they are sold and show them to the person selling them. I came up with this: PHP-WebrootAPI. It gives you one main function: MakeWebrootKey(); This is pretty straightforward and allows you to create keys by passing in the customer’s information. The keys are then stored in a local table and accessible from the customer’s profile page, or by searching. Getting this API implemented was very tricky because their documentation is terrible and they don’t respond to tickets. I ended up combing through their web console’s html to find many of the missing pieces. This is the only way I could find to get the GSM key IDs, Policy IDs and some of the other credentials. Once I had all of those though, implementing the rest of the API fell into place. Check it out and email me if you need help or have any questions! One of the applications I am building integrates with a legacy software platform including MS SQL Server. In past versions of PHP, there was a simple and free tool called FreeTDS which enabled PHP to connect to MS SQL Server, but this has been deprecated as of PHP 7. First, I created a droplet with Digital Ocean (Referral Link) and give it 1GB RAM. Add a firewall rule to prevent unwanted sending of outbound mail. You will be prompted to create a new root password for the mysql installation, and then give that password to mysql_secure_installation so it can run. Now edit the config files and change the interface to loopback-only like so. We already set up a firewall rule to block connections to port 25, but those rules can be changed by mistake, so this will be a good second line of defense to prevent public access to sending mail through our server, while allowing us to still use it locally. First, we need to forward an A-Record from our DNS provider over to the public IP of our new server. We will need to do the following steps twice: once for the fqdn of the machine, and once for the fqdn of the application we are serving. I like to set the machine’s virtualhost to use /var/www and then put the other virtualhosts in directories inside there, to make them easy to access. First disable the default VirtualHost. Create a directory for our new FQDN. Create a new VirtualHost for our new FQDN. Now enable the virtualhost and restart apache. Create a password file for the VirtualHost. Pick a high entropy username and password. Now add this to the VirtualHost for the machine’s FQDN. Restart Apache to make the changes take effect. Navigate to the machine’s webroot. Unzip it into a new directory in the current directory. For basic troubleshooting and performance monitoring, I wrote a simple tool to see the output of a few simple cli tools. It also includes a directory listing. So it’s essentially just a better index file for the vps. Try it out if you like. We already added the repository we need, and we installed the Certbot to take care of our certificates, so now let’s run Certbot to setup SSL for our VirtualHosts. Add the newly installed tools into the PHP configuration file. Restart Apache and you’re ready to go! Save the file and exit. Then run newaliases to let Postfix apply the changes. Building a VPS requires lots of complex steps, and these steps change over time. The time has come to create comprehensive, consolidated documentation for how I setup these machines. Many of these steps are optional. And then you are golden! This is a subpost of the larger post Updated Comprehensive VPS Setup Documentation. LetsEncypt allows us to setup free SSL certificates for our virtualhosts. It will ask which virtual hosts you want to install certificates for, and then it does all the work for you! When you need to renew these, check out my tutorial Renewing Free LetsEncrypt SSL Certificates.